Self-parking is available for $15 at the Parkway Garage located immediately next to the entrance to R2L on 16th Street. Please bring your ticket with you to be validated by the host. The $15 validated parking is available every night after 4pm, and Saturday and Sunday day after 11am. Self-parking is also available for $13 at the Center Square Garage located across the street from R2L's entrance at the corner of 16th and Ranstead Streets. 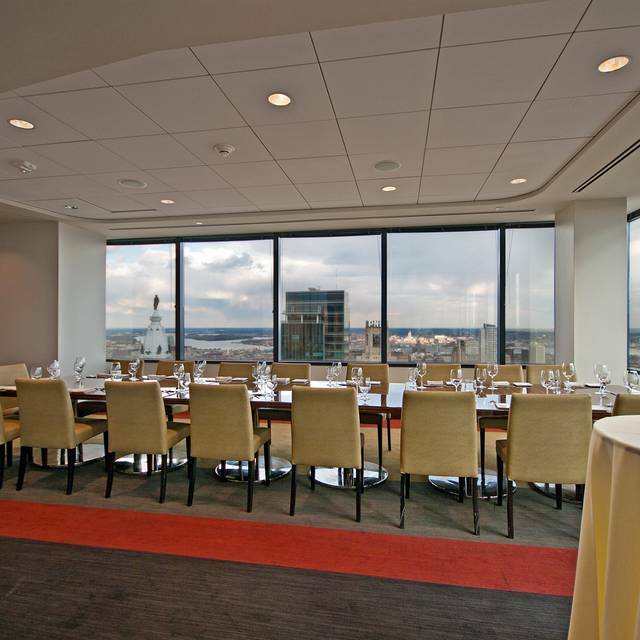 R2L has several private event spaces which offer stunning views of Philadelphia from the 37th floor. Please call 215-564-3585 and speak with our Director of Hospitality Vera Masi. She will be happy to assist you in planning your event! 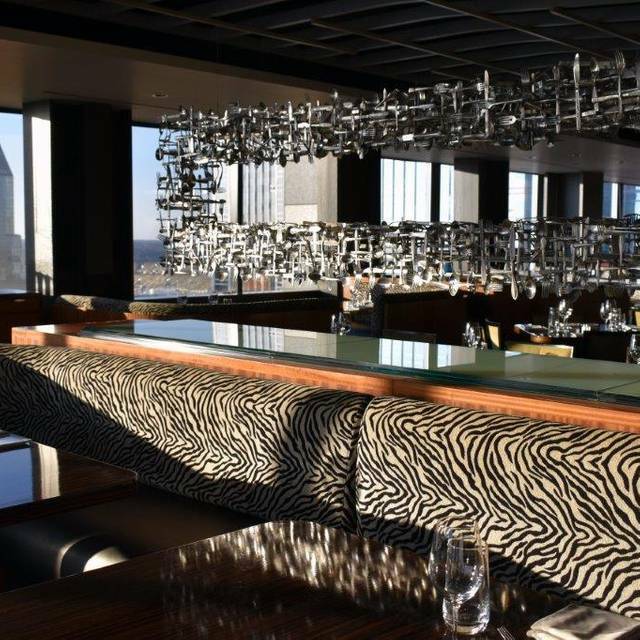 R2L offers a sophisticated menu and a sleek dining space that has an amazing view of the Philadelphia skyline. 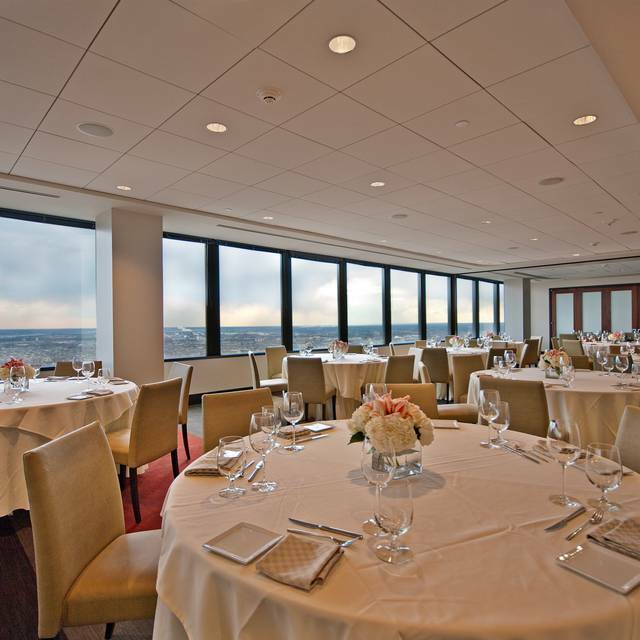 Situated in the 37th floor of Two Liberty Place, the wall-to-wall windows allow guests to dine in a totally urban setting. The open kitchen and the hand-crafted cocktail menu complete the R2L experience. Chef Daniel Stern has received consistent raves for his unique modern American cuisine. Expect unexpected flavor and texture combinations, all plated with beauty but without fuss. 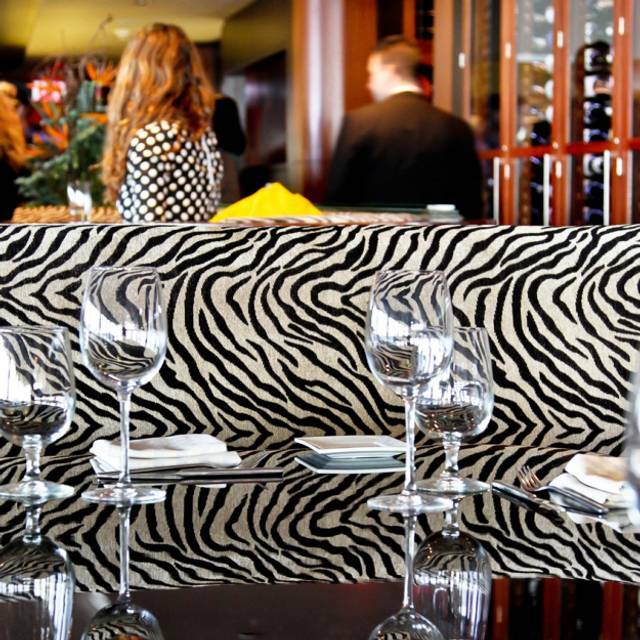 Chef Stern's menu always holds exciting finds for vegans and vegetarians. Join us for Easter Dinner - 5pm-9pm - Spectacular views! Noisy, lousy food, but pretty good food. Really awesome ambience and view. My dish the red fish and scallops was very tasty but my wife's roasted chicken was bland and undercooked. The drinks were good. Service is top notch. Excellent meal (creative, nicely "sauced", nice portion size), served by very friendly and attentive staff, with great views west and south from center city. Not cheap, but well worth the cost. One of the most scenic places to eat in Philadelphia. R2L is located 37 stories high, giving you a landscape view of the gorgeous city, especially at night when there are billions of of balls of fire lighting the night. Needless to say, the environment and the setting are the greatest assets of the restaurant. This is supplemented by excellent, courteous service. Our waiter joked with us and offered the highest level of accommodation I've ever witnessed. My only complaint would be the food; as my fiance and I are vegetarian, we had very few options to select from. PS: If you decide to go, be sure to reserve a window booth. It does not cost extra (the deposit goes toward your food) and is truly the best way to experience R2L. It’s a very beautiful place and i would probably go back again. 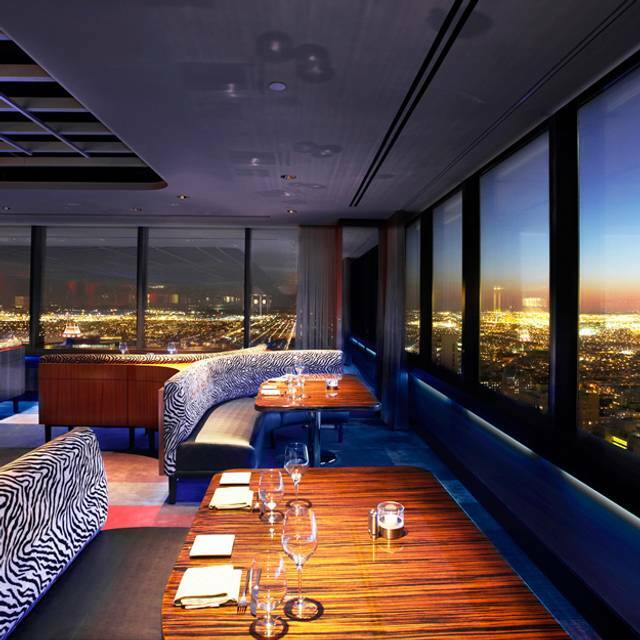 Food was surprisingly delicious for a restaurant with a tourist view on the 37th floor. I was expecting the food to be an afterthought with the view being primary, but entrees were delicious. Duck was tasty and oysters fresh. Waitstaff was efficient and attentive without being fussy. Noise level was tolerable for a Philadelphia restaurant. Enjoyed the decor as well. Perfect place for the date. Quite and polite service with professional manners. 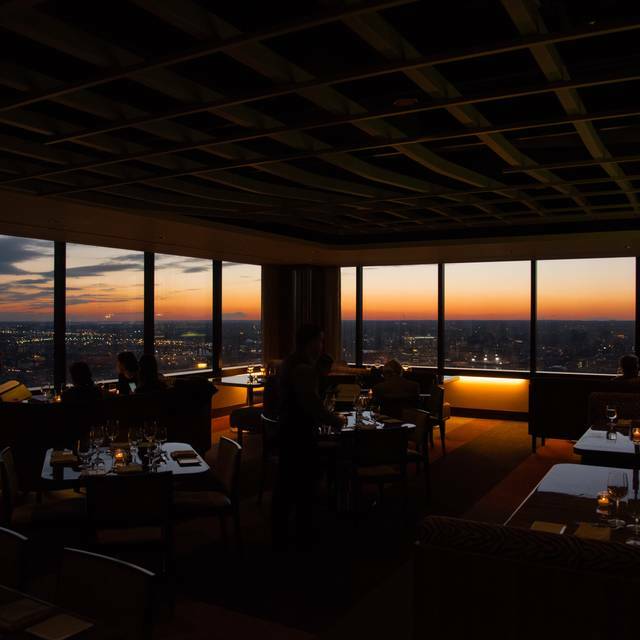 Overall, I experienced great food with the perfect view on night in Philadelphia. Unbelievable experience, can't wait to go back! 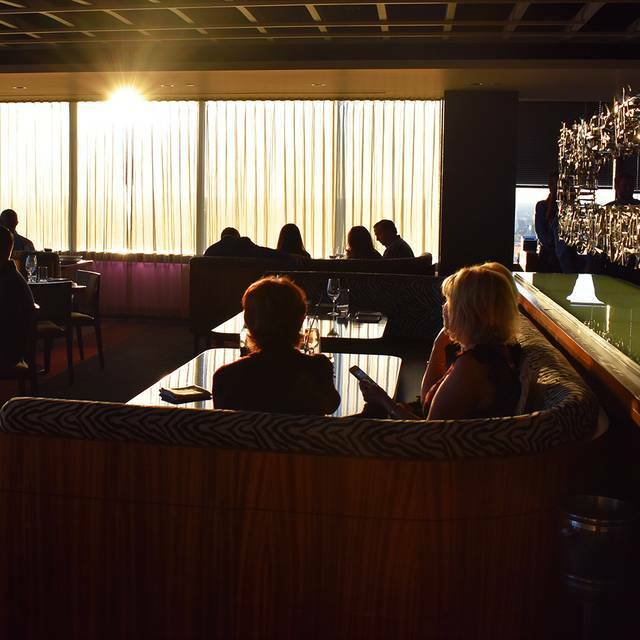 Beautiful views, wonderful service, and great happy hour deals. Would absolutely recommend! R2L is a good restaurant for a special occasion. The view from the 37th floor is special. The food was high-end in quality and cost. The service was professional. Not every day, but a good splurge. Check out the Mac & Cheese. I loved the service and the food is amazing, just didn’t appreciate the booths by the window being so close to others. Very uncomfortable. Very elegant place. Prices were as expected for a restaurant of this nature. I would've appreciated a clear view of the city skyline from my booth table. There was a structure of the building place directly in from of my sight but other then that my dates visual were clear. The food was exceptional. I highly recommend the lobster mac and cheese. Food was delicious, service was espectacular, will go back in a heart beat. The service was pretty bad. They didn't make us feel very welcome. They seemed to be a bit pretentious. The food was ok but nothing to write home about. Long waits for everything. The wait for desert was so long that the 4 desserts that we ordered our waitress comped. The music was so loud we couldn't have conversation at the table without yelling at each other. I wasn't a big fan of the music selection. One other thing, the bartenders pretty much ignored us when we were sitting at the bar waiting for our table. The view is spectacular but that was the only positive I took away from our experience at R2L. I wouldn't recommend this restaurant to others. 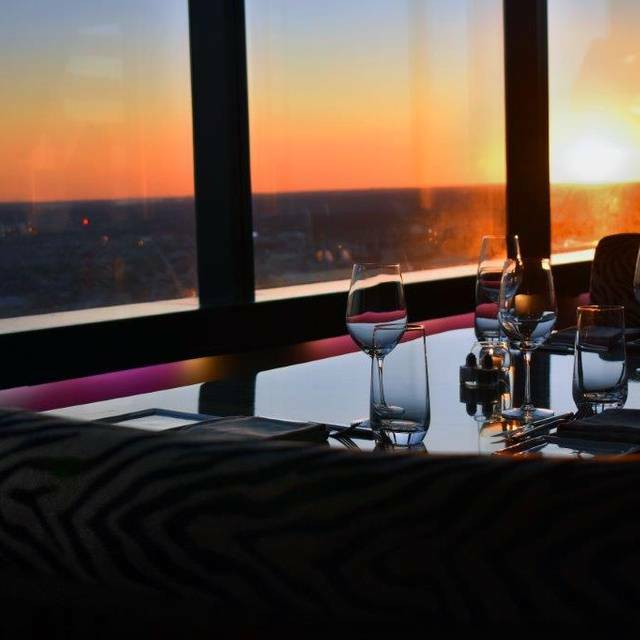 Great food and atmosphere, Highly recommend for authentic dining with a gorgeous view of the city sky line. Our reservation was a 630 PM and we were blessed with a gorgeous sunset followed by the lights of the night skyline of Philadelphia. Very re memorable birthday for my husband. Service was outstanding. Will definitely repeat!! My husband and I had reservation at 9:30pm for our anniversary. By 10pm we were done. The food came out 5 minutes after we ordered and it was warm, which makes me think they have it pre-made. The food was good, but what you’re paying for is the view. We spent $200, and I left out of there hungry. Great dining experience. You definitely get what you pay for. I brought my girlfriend to celebrate her very special 21st birthday however she is a Type 1 diabetic and unfortunately she did not feel well as we just were served our appetizer her sugar dropped low and she is also pregnant so we had to leave to go to the hospital emergency room and sadly were not able to stay and she spent three days in the hospital. We did get our dinner wrapped up and brought it home to share it when she was feeling better and it was delicious. We did enjoy our time there and got to see the sunset, everyone was wonderful and I hope we can get back soon to have a nice dinner hopefully soon when we get engaged. Thank you for everything. I called and spoke with management about this reservation and coordinated with the entire staff!! Talk about an amazing night!! Birthday dinner celebration. Great ambience and service. Food was amazing. Super expensive so it’s an awesome restaurant for a romantic dinner date. Would definitely go back...without the kids next time. My husband is a native of Philadelphia but had never personally seen the view from up high.I wanted to do something special for his birthday and when I heard where you were located, I knew right away it’s where I wanted to take him. He absolutely loved the entire experience, as did I. We were fortunate to get a window view! It is definitely a go-to again for us. Thank you to everyone there on 3.31.19 for the hospitality. We hope to see you again soon. The place is amazing! Makes you feel like you’re a celebrity! And even though it’s in my opinion upscale, the staff is so welcoming and down to earth! I even saw a waiter take a picture for a couple. And the view is positively breathtaking. My husband and I can’t wait to dine there again! The food was amazing. The waiter was very helpful and polite. Lobster Mac and cheese was amazing I just wish the bowl was bigger. I had the shrimp and scallops without the scallops and it was wonderful idk what is the name of the green sauce they had on the plate with my shrimp but that sauce was the icing on the cake. Overrated but terrible experience. My waiter was extremely rude and cold toward us. Waiter didn't want to serve us, if a waiter doesn't want to serve which is his job than he shouldn't be at R2L. I was going to have a huge company event there and spend alot of money but I definitely won't now. The food was bland and not worth the raving that they advertise. R2L has a long way to go to be considered elite as they claim. 4 thumbs down. The food came out so soon that we couldn’t even finish our cocktail and appetizer. We had a little mix up and ended up needing more room for a business colleague joining late. The manager was extremely accommodating and found us space. Highly recommend! Food excellent also!! Very beautiful scenery coupled with a fragrance of the city makes this restaurant stand tall against the rest literally and figuratively. One of the best things about R2L is how they accomdate you. The hosts were waiting for us as we arrived like we were celebrities, and the elevator takes you straight to the top of the floor. They even remembered somehow that it was our one year anniversary! 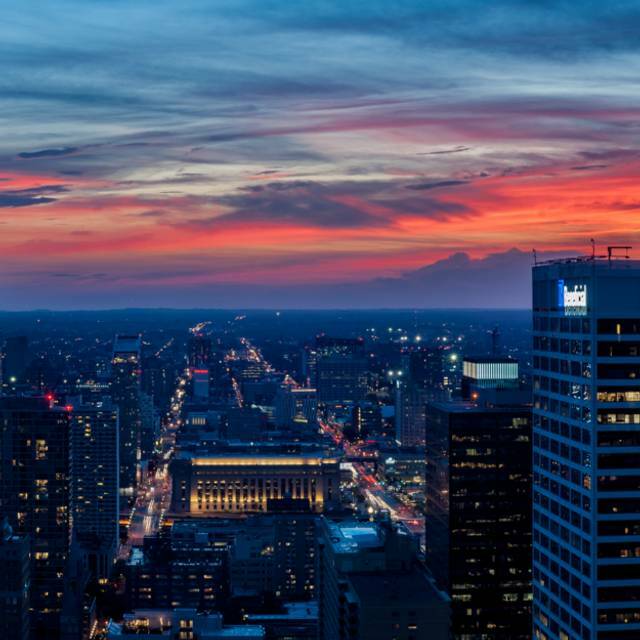 The skyline view of Philadelphia is what you're paying for, why you're there. This was dinner and a show night. The service was good, nothing spectacular but a very good server. The vibe is definitely energetic with a mixed crowds. My single complaint and why I would not go back is because our entrees were not hot. The food definitely sat out. My MR steak was warm and so was the wife's shrimp/scallops & brussel sprouts. Manager came by asking about meals, I told him. Likewise with the server but we didn't have the time for a brand new meal and I did not want my MR filet/short rib heated up ruining temp. The short rib was good, my mom makes it better and so do 20 other places. The filet was good but not nearly memorable. Again, go for the views. A must do one time place. This was a great experience! The view was amazing, the staff was friendly, and the food tasted great! Great food, great service, great view. Service was great and food was awesome. It was a beautiful night so the view great also. Great spot for a date.